Elyse's Story: "We were introduced to a team of doctors and social workers and love." At CenterLight, we understand that you love your parents, and want to do everything for them. But you have a job, a family, and a life of your own. And if your loved one has ongoing health concerns, it can all become overwhelming. Teamcare offers a fully hands-on team approach to keeping your loved one healthy, active and independent at home and in the community. With Teamcare, there’s no need to stress about the complexity of caring for your parents. We take care of the details so you don’t have to. 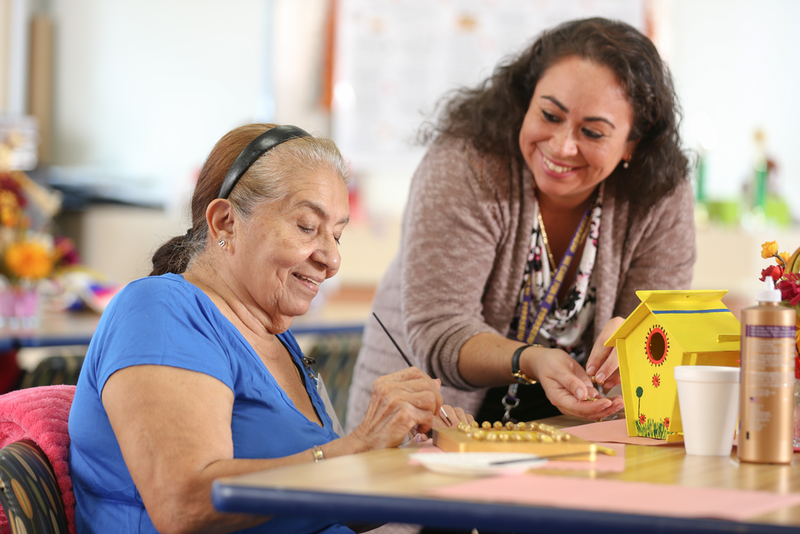 If your loved one needs nursing home level of care but they want to live at home, there is a way: it’s called Teamcare. WE HELP YOUR LOVED ONE LIVE SAFELY AT HOME. We offer an alternative to placing your family member in a nursing home, so they can remain close to friends and family. 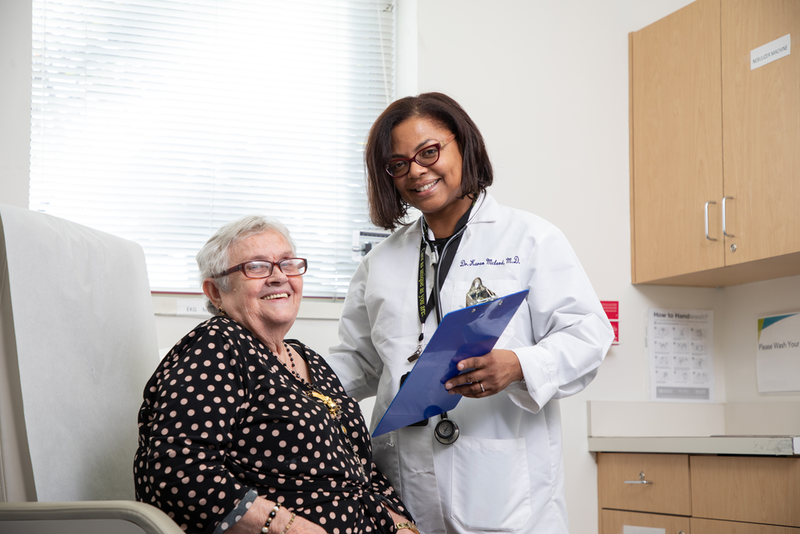 By providing all the help you need, including hands-on clinical and social support, we can help give you peace of mind that your loved one is living the life they love. Teamcare offers complete management and coordination of your loved one’s care, whether in their home or in one of our 11 sites*. For necessary services, we offer unlimited transportation. Doctors are available on site, and nurses are available 24/7. A team dedicated to your family member’s care stays in close communication with you and coordinates updates. Families can participate in care plan discussions via phone or in person. A Participant Experience Representative serves as liaison between you or your loved one and the Teamcare staff, and makes sure all concerns are addressed and questions are answered as soon as possible. WE TAKE THE STRESS AWAY. Teamcare is available at $0 plan cost**. Our program eliminates financial stress for you and your loved one. CenterLight Teamcare provides assistance with Entitlements, so you can maximize your loved one’s benefits. NEED TO GET AWAY? WE’VE GOT YOU COVERED. Teamcare offers family respite care services, as part of the program benefit. This means that your loved one is cared for when you go on vacation or are otherwise unable to care for them. *CenterLight Teamcare has 11 PACE Centers, where we provide individuals with primary care, including physician and nursing services; social services; restorative therapies, including physical therapy and occupational therapy; personal care and supportive services; nutritional services; nutritional counseling; recreational therapy and meals. **Available at no cost, depending on Medicare / Medicaid eligibility. CenterLight offers a host of resources to help you meet the physical, emotional and logistical challenges of your loved one’s health needs. If you would like to start receiving caregiver tips and information, sign up using our form below. 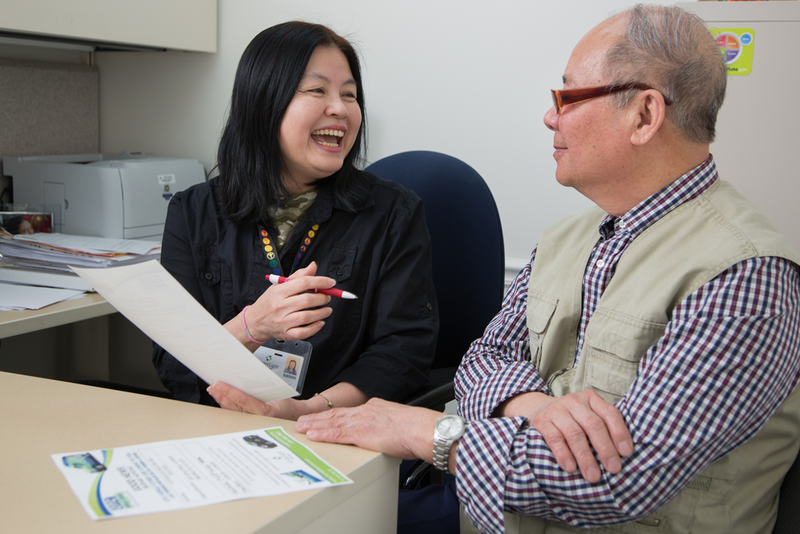 Visit our blog for information on wide-ranging healthcare topics impacting older adults. CenterLight Teamcare provides services that help enrich our participants’ lives, while giving you the peace of mind that your loved one is being cared for by our team of professionals. Frankie Polanco used to fear his father Jose is going to fall. Now, Jose is more alert and Frankie has peace of mind that his father is being taken care of. Ready to find out more? Contact us by completing the form below. Thank you for contacting CenterLight Teamcare. A member of our team will be in touch with you shortly.